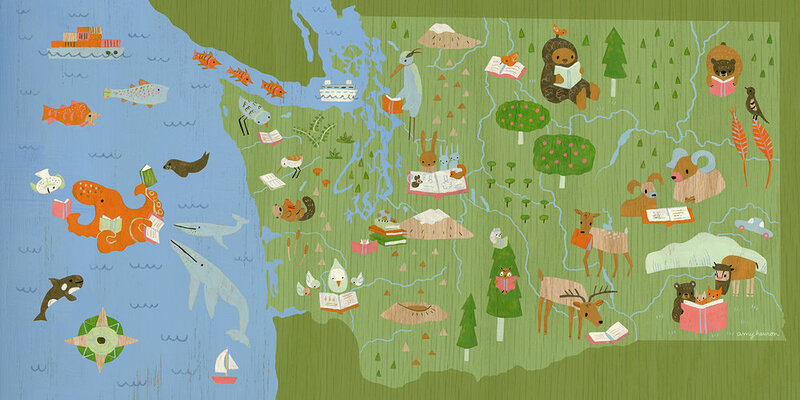 I recently partnered with the Washington State Library to illustrate this map for a "Passport to the Libraries" program to encourage visiting our wonderful libraries across the state. Such a fun project with awesome people! Check out the initiative here!